Anyone else want to share their preferences for making loans? For me, with my wife coming from Africa, I tend to lend solely to African countries. I will choose most loans, except for personal housing expenses or some business that I just don't see prospering. Well, I just made a loan to Estella Poaulina's beauty salon in South Sudan. Maybe she can do something with my hair. I also made a loan to her, but as anyone who has ever seen me can attest, there is absolutely nothing she can do with my hair. I tend to favor lending to women. I just looked at my portfolio and noticed that 90% of my loans are to women. I wonder if that indicates any prejudice on my part. There are a number of Arab countries, especially Syria and Lebanon -- and including Palestine -- where I won't make loans. In several cases I wanted to, but I refrained from it out of fear that someone in these countries will notice my loan, see I come from Israel, and subject the borrower to a violent reaction. Perhaps I am being overly careful, but I would rather not take that chance. And interestingly, my loans are rather the opposite. According to my Kiva stats, over 20% of my loans are in Arabic nations. This wasn't really intentional - I guess it just sort of happened. I suppose that's why it's good to have a team - people like Dovster & me balance each other out. All of my loans are in the food sector (and preferably street food), but the locations are all over the world. I'm heading off for my Kiva fellowship in Cambodia in the morning. Thank you so much to the 6 Flyertalkers who sponsored my fellowship. The support I have gotten from the FT community has been wonderful, and I really appreciate it. This is an amazing opportunity and I am glad to do it on your behalf. This is an amazing opportunity and I am glad to do it on your behalf. And please keep in touch with us. Greetings from member 145. Glad to see that members on this site are helping this charity. Was already part of Kiva but saw the TalkMail and joined the Flyertalk team. I try to do at least a few loans a year. I am an infrequent visitor to Flyer Talk (mostly when I am looking for information from your helpful board members). Like many of you I have travelled to a lot of countries where I wondered what I could do to help the locals. Thank you for reminding me that there is a way that I can (more or less) directly support local small entrepeneurs get a leg up (as opposed to a hand out). I have just registered and joined the Flyertalkers team, and am now sorting out how to deposit some money. Thanks again for including this in the newsletter and reminding me that I can make a difference is someone's life. 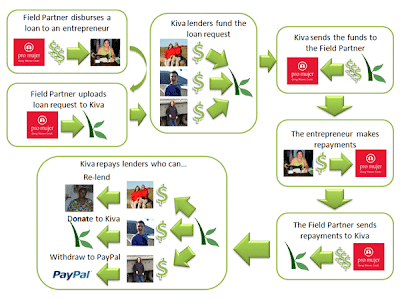 I have planned to begin lending through Kiva for some time, but have not done it. Finally, today, the FT email reminded me and I read an old post from JDiver. whose posts i always read with interest. I joined and lent my first thousand dollars today. Thanks for goading me into action! I've signed up as well, and will make my first loan soon. i'd never heard of kiva until this flyertalk letter. thanks for opening my eyes; i've now signed and started recirculating some shekels to good use in less-advantaged parts of the world. BTW i'm faintly embarrassed by my moniker--somewhat pretentious. i must've been suffering from major jetlag when i signed up. is there any way to change the name? is there any way to change the name? Send a Private Message to Mikel at Webflyer, ask him to de-register your current handle and to e-mail you when it has been handled. Then you can sign-up for a new handle. Your join date will be the day you do this and you'll lose your post count but you don't have a whole lot of those to lose. Let me know if you have any questions and thanks for joining the FT Kiva Team!! So wonderful to see so many new FT KIVA lenders. Wow, we're at $44,000 already. Just joined the group! Hope we can all make a strong contribution as a team. Just joined the team and made my first loan. I meant to do this a while ago but forgot, so I was glad to see the group featured in the TalkMail Newsletter.